Stay visible, dry, and comfortable with this versatile jacket. 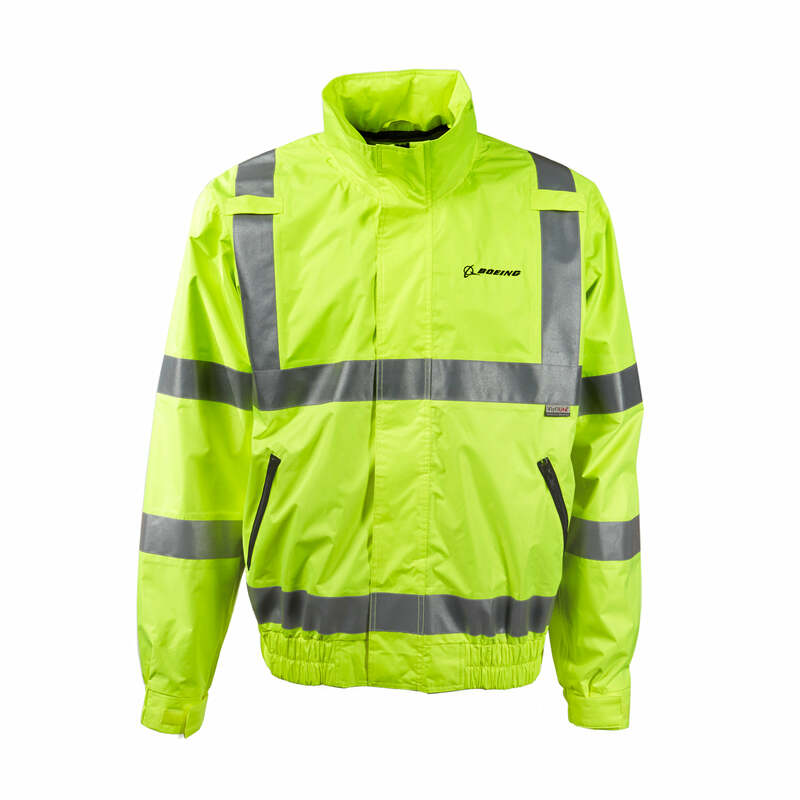 Standard-fit safety neon yellow jacket is made from waterproof, breathable ripstop woven polyester with an inner coating, polyester mesh lining, and roll-up hidden hood. Elastic cuffs and waistband keep the wind and rain out. The Boeing logo is embroidered in black on the left chest. Unisex sizing. Safety Neon Yellow (Class III standard) with reflective tape. Machine wash and air dry. Imported.